After handing out Coca-Cola napkins suggesting passengers give their name and number to their "plane crush," both companies are apologizing. 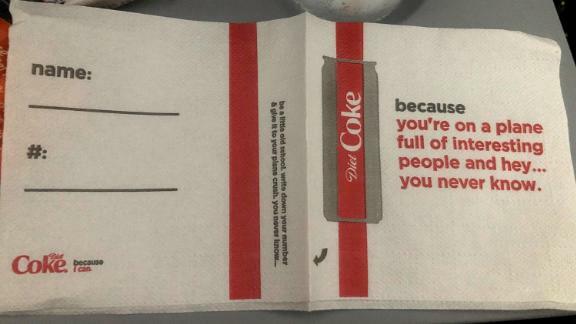 After handing out Coca-Cola napkins suggesting passengers give their name and number to their 'plane crush,' both companies are apologizing. 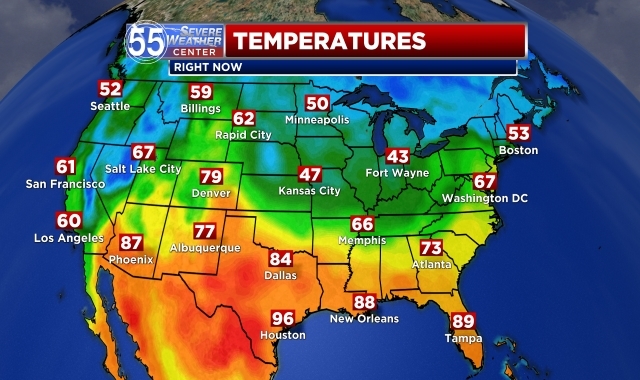 'because you're on a plane of full of interesting people and hey ... you never know,' the front teases. But others said they were creepy and unwelcome. 'Pretty sure no one appreciated unsolicited phone numbers in the 'good old days' and they sure as heck don't want the number of someone who has been gawking at them on a plane for hours today,' another passenger tweeted. Ultimately the Diet Coke ad fell flat, and the company offered a mea culpa. 'We sincerely apologize to anyone we may have offended,' The Coca-Cola Company said Thursday. Delta also said the campaign didn't really take off. It's not clear how many couples have been set up by the napkins.